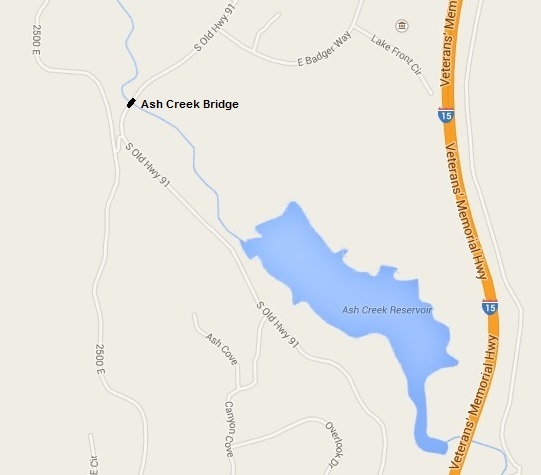 The Ash Creek Bridge crosses Ash Creek on old Highway 91 at the south end of the Harmony Valley a little way northwest of Ash Creek Reservoir. This is a concrete arch bridge measuring 222 feet long and 20 feet wide. It is 48 feet high and the main arch spans 130 feet. 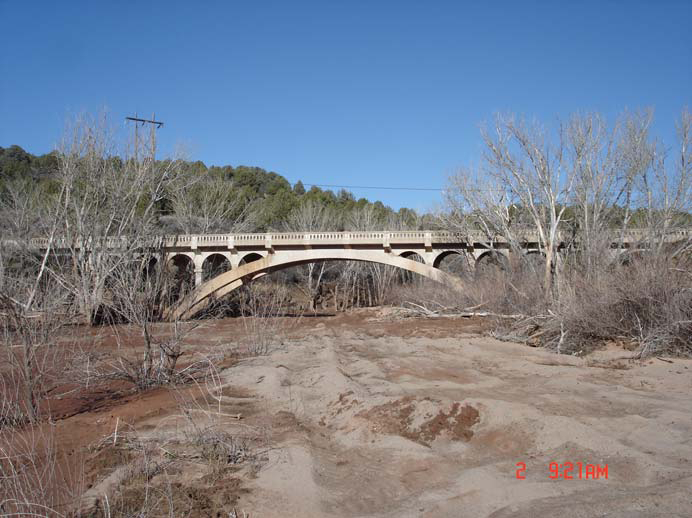 The Ash Creek Bridge was built in 1925 at a cost of $40,000. 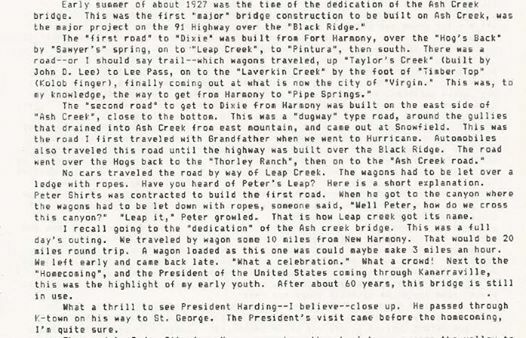 At the time, it was the largest bridge in the state and had the longest single span of any bridge in the intermountain west. 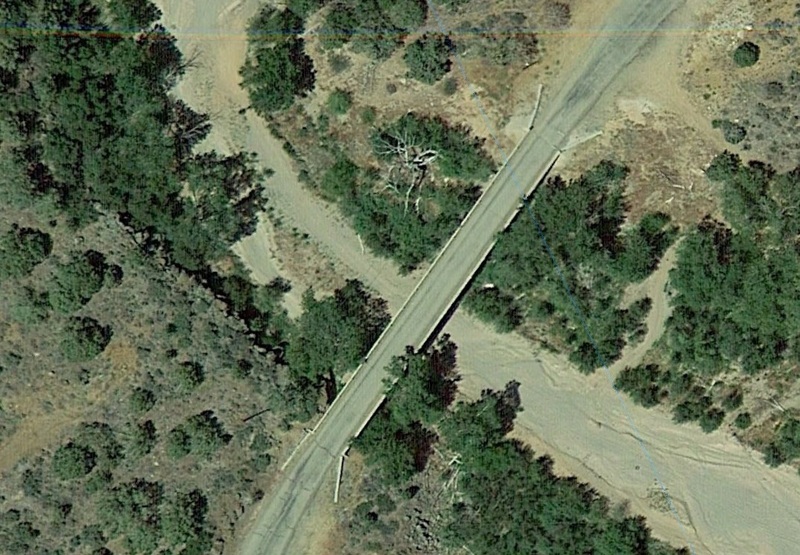 It replaced the dangerouse Ash Creek Dugway. On September 11, 1925, starting at 2:00 pm, one of the largest celebrations to that date was held at the site of the new bridge. 1500 people attended the gathering marking the opening of the new road and bridge. There were prayers, songs, and talks followed by refreshments and dancing on the new bridge. 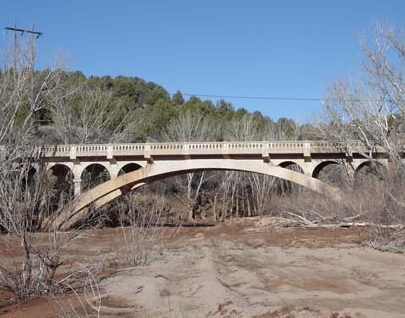 This bridge is eligible for listing on the National Register of Historic Places.